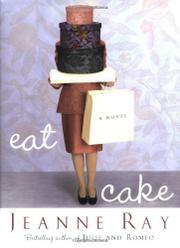 Imagine you’re inside a cake. . . .
That’s what beleaguered housewife Ruth Nash does whenever life gets to be too much for her. She can even catch a glimpse of the outside world from the open center of her favorite hideaway: a moist, rich Bundt cake. And these days, she’s quite the baker (recipes included) now that her son Wyatt has left her with every pair of sneakers he ever owned and is off to college. His younger sister Camille, meanwhile, sighs a lot and makes snotty remarks. A crisis looms: their dad, Sam, just lost his job as a hospital administrator and has few prospects of getting another, though he’s not going to let that get him down. He’s a family man who puts up with a mother-in-law in permanent residence and goes so far as to drive to Iowa to pick up Ruth’s ne’er-do-well father, an itinerant pianist who just smashed both wrists. Ruth’s parents divorced many years before and still can’t stop bickering: her mother, Hollis, is outraged that Ruth actually cuts her father’s revolting yellow toenails when Guy can’t do it himself and that Sam must help the old man pee (a task Hollis takes on, explaining grimly that she has seen that particular organ before). Now that he’s unemployed, will Sam realize his cherished dream of becoming a boat-builder? Guy points out that it may be Sam’s turn at last, and Ruth gets a brilliant idea: make money by selling her wonderful cakes. And so she does, with a little help from Camille, who has a flair for marketing, and a friend of Sam’s who designs gorgeous gift boxes. And that’s all, folks. A pleasant trifle but nothing more: the third from the author of Step-Ball-Change (2002) and Julie and Romeo (2000).